One of these “dens of inequity” was located just across Crooked Creek Bridge to the east. The early day proprietress of the establishment was Fanny Fernleigh. She appeared to have the perfect name for the business and plenty of savvy to go along with it. One of the local newspaper editors (quite possibly politically motivated) reported a calamity that had occurred after a quick rainstorm. As was common with such a downpour, the creek swelled out of its banks and washed away the bridges. The writer couldn’t help but note that some of the town’s leading male citizens were seen clinging to whatever they could find in order to get themselves back to hearth and home. Eventually Fanny sold this home to “Old Ella,” who was one of many in the succession of madames to find their way to Red Cloud. Other “pop-up” houses existed but were often extinguished via remarks around town and a few arrests. 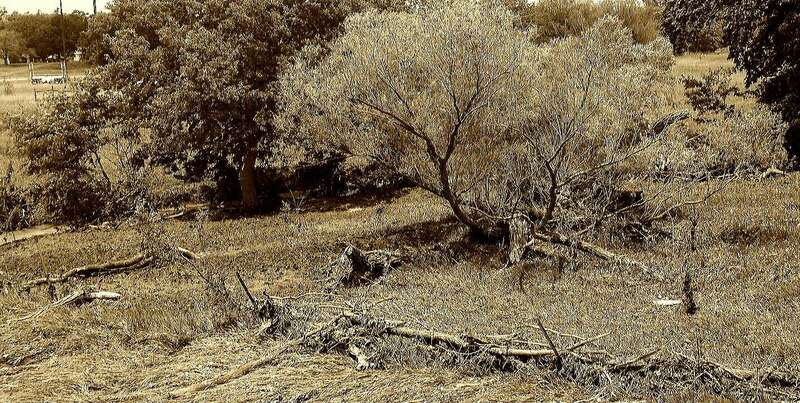 However, the area down by the river was home to various madames over the years and was evidently not governed as much as the establishments located in or near the city limits. After selling her “starter home,” Fanny had a custom home built to her liking and needs. (Just imagine the local rumblings that were a result of that.) It was very spacious, and was just what she and her girls needed. She chose a strategic location – just out of the city limits and therefore free of governance of the city fathers, or more accurately, their wives. 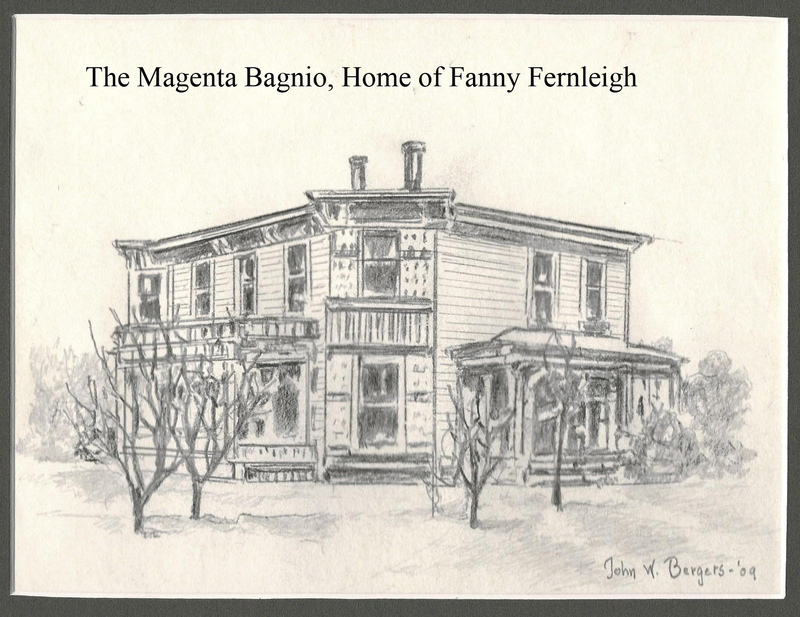 Some of the local labels used to refer to her home included the “Red Rooster” and the “Magenta Bagnio.” Such names most likely came from the red color Fanny had chosen to paint her home, as well as possible insinuations that it was “stained in blood” by its association to unrighteous deeds. The home’s unique color coupled with the area’s general lack of trees, ensured that Fanny’s house of business was easily located.